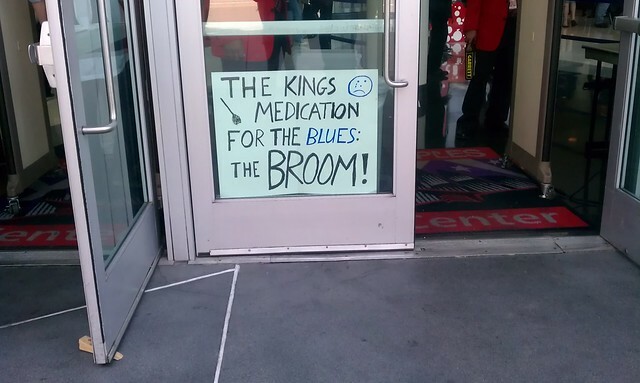 Break out the brooms, it’s a SWEEP! Bye, bye Blues! Jamie Storr has been avenged. It’s hard to describe the wave of emotion that came over me with 3 minutes remaining in the game. The atmosphere inside Staples Center was electric. 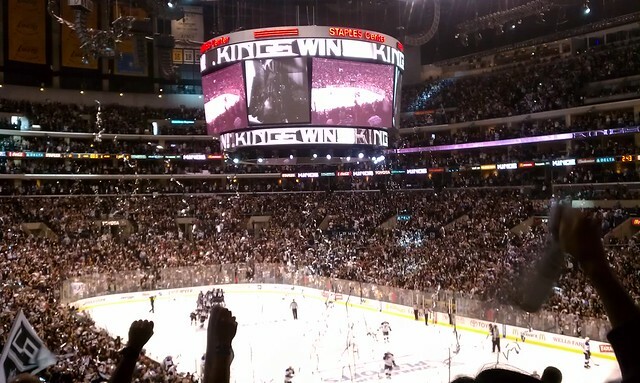 I stood with my fellow Kings fans, waving our rally towels, cheering like it was 1993. When Brownie scored the empty net goal with 26 seconds to go, I broke down and tears started streaming down my face. It’s normal to cry in public right?